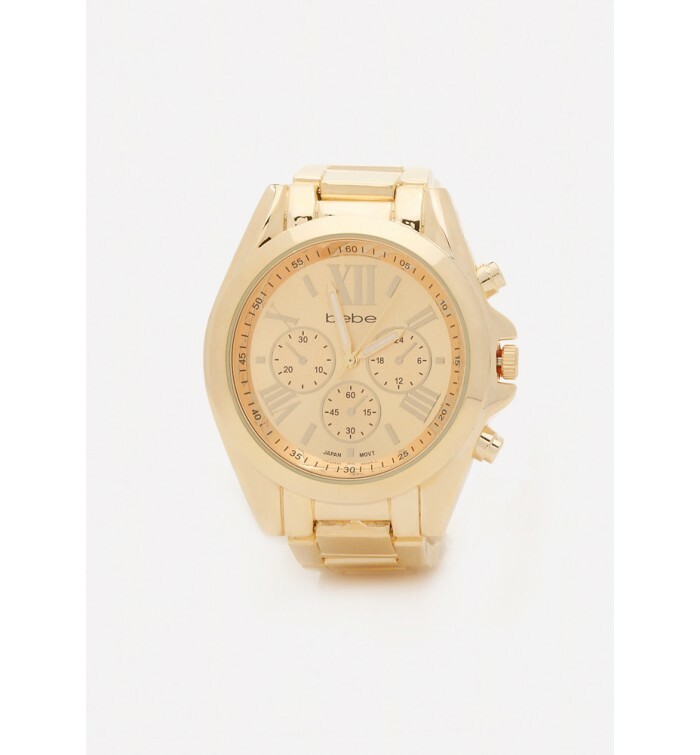 Standout boyfriend watch in a weighty goldtone. All-business subdials, numbered bezel and luminant hands. 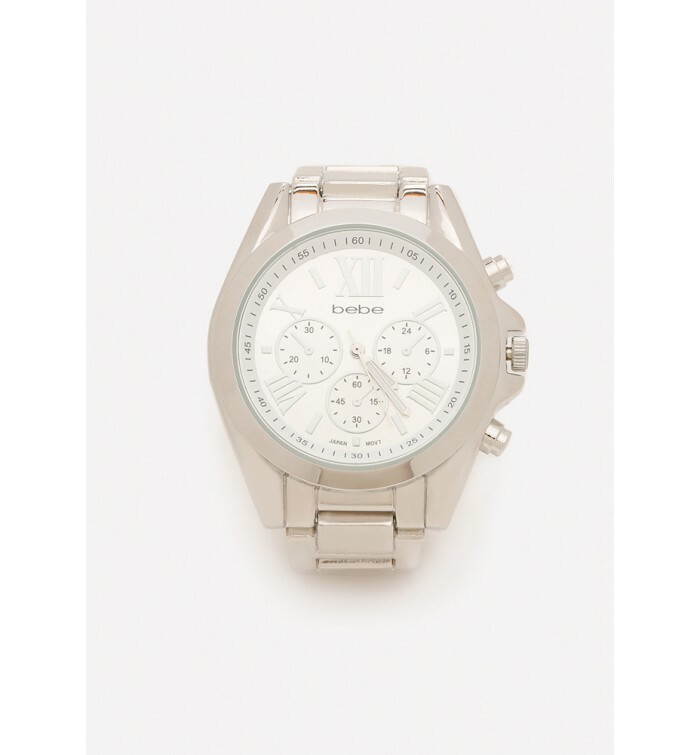 3-hand quartz movement. bebe logo on dial.